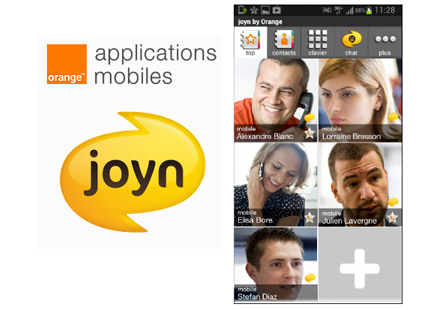 Orange officially launched its joyn rich communications services in mainland France. joyn enables Orange mobile customers equipped with a compatible phone to start a video chat, share pictures, or use instant messaging while calling. Joyn is currently available through the application "joyn by Orange," and will progressively be rolled out as an embedded app on smartphones sold by Orange. The service is based on the GSMA's joyn standard. Communications made or received are billed in line with the customer's mobile package and are free in Wi-Fi mode. When sharing photos or videos during a call, the call is billed independently of joyn, in line with the customer's mobile voice plan. The "Contact et moi" application has been upgraded and renamed "joyn by Orange." All of these functions will be available starting in October. iPhone users can already enjoy two-person chats and make video calls, while Android users can take part in multi-person chats, make video calls and share pictures during calls. Mass market customers with an Orange package (excluding “mobicarte”) and a Sony Xperia Z, and HTC One or a Samsung Galaxy S4 can enjoy all of joyn's functions directly on their Orange smartphone, starting this summer. joyn will be rolled out for most Android and Windows Phone devices in 2014. 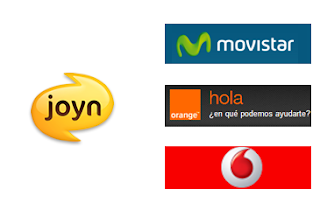 In November 2012, Spain’s three leading mobile network operators, Movistar, Orange and Vodafone, are now offering interoperable Rich Communication Services (RCS) under the consumer-facing brand joyn. Movistar, Orange and Vodafone are initially offering joyn services through an application for Android, with a version for the iPhone to follow shortly. joyn is based on the GSMA's RCS 5.0 standard, enabling mobile users to chat and enrich messaging or voice calls by exchanging images or video simultaneously during calls, in a private and secure manner, with any member of their contact list that has joyn, regardless of the user’s network or mobile device. Additional services, such as VoIP or IP-video caling,l will be introduced in the near future. joyn operates on both the operators’ mobile networks and on Wi-Fi networks. Other operators who have launched joyn services include SK Tel, Deutsche Telekom, Vodafone Germany, and MetroPCS. 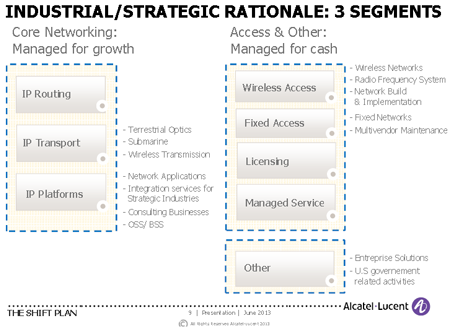 Alcatel-Lucent outlined a "Shift Plan" aimed at transforming the company from a generalist supplier of networking solution into a specialist provider of IP Networking and Ultra-Broadband Access. The company is targeting Euro 1 billion in reduced sales, general and administrative (SG&A) expenses over the next three years as it makes a decisive in its industrial focus toward high-value equipment and services. "Today we are taking comprehensive action to position Alcatel-Lucent at the heart of the digital ecosystem, a place from which we will be able properly to capitalize on our many strengths. The Shift Plan is fundamentally an industrial plan that also addresses the Group's operational and financial challenges by putting in place a strong and fully accountable leadership team with clear goals and the appropriate levers to deliver on these goals and on our commitments to all stakeholders," stated Michel Combes, Alcatel-Lucent's CEO. Paul Tufano, CFO of Alcatel-Lucent, will step down from his role once implementation of The Shift Plan is under way. In February, Alcatel-Lucent’s Board of Directors named Michel Combes as the company’s new Chief Executive Officer, effective April 1, 2013. Previously, Michel Combes (51) was CEO of Vodafone Europe and a Board member of Vodafone PLC. During his career, he has held the positions of Chairman and CEO of TDF as well as Chief Financial Officer and Senior Executive Vice President of France Telecom. The Open Networking Foundation (ONF)completed its third semi-annual PlugFest designed to drive interoperability, deployment, and commercialization of SDN and the OpenFlow protocol. 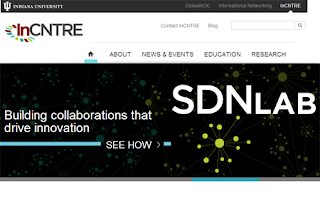 The event, which was hosted earlier this month at the Indiana Center for Network Translational Research and Education (InCNTRE), was attended by nearly 50 network engineers from 20 member companies with the common goal of ensuring that new SDN protocols work across all of their products. Testing focused on OpenFlow versions 1.0, 1.2, and 1.3 in commercial and test controllers and hardware and virtual switches. The event also allowed member companies to work in a neutral environment to test implementations of OpenFlow-based SDN that would be commercially applied to service provider, data center, and enterprise markets. The ONF said the addition of OpenFlow 1.3 allowed for innovative test cases that spanned into performing match actions and functions in IPv6 and MPLS. INCNTRE is the first ONF certified lab for conformance testing. The next ONF PlugFest will be held at the InCNTRE lab November 2013. 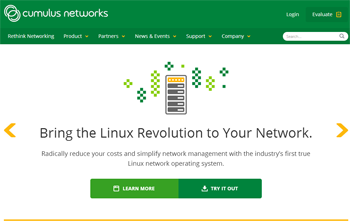 Cumulus Networks, a start-up based in Sunnyvale, California, emerged from stealth to unveil its Linux operating system for data center networking. Cumulus Linux, which is already in large-scale commercial deployment with one of the world’s biggest cloud providers, aims to enable the "Linux Revolution for Networking," helping to make data center infrastructure higher capacity, less complex and affordable. Cumulus said it implementation will enable customers to take advantage of the price-performance of so-called “industry-standard” or “bare- metal” hardware as well as the agility and automation of the new generation of “software-defined” data center software and native Linux-based toolsets. Cumulus Linux promises radically simplified orchestration, automation and monitoring of networks. It supports tools such as Chef, Puppet, Ganglia and collectd. Cumulus also works with overlay network technologies such as network virtualization from VMware. Because it sits at the edge of the network, Cumulus Linux also allows for routing between physical and virtual servers. The company also cited DreamHost and Fastly as early customers. Cumulus Networks was founded by veteran networking engineers from Cisco and VMware in 2010. The company has raised over $15 million in venture funding from Andreessen Horowitz, Battery Ventures, Peter Wagner and four of the original VMware founders. Motorola Mobility’s Advanced Technology and Projects (ATAP) group announced a collaboration agreement with eight top U.S. research universities to streamline new joint research projects and the development of fundamental new technologies. The signatories include Motorola, California Institute of Technology, Carnegie Mellon University, Harvard University, University of Illinois at Urbana-Champaign, Massachusetts Institute of Technology, Stanford University, Texas A&M University, and Virginia Tech. “When we started six months ago, people told us we were crazy… that this couldn’t be done. But we found power in the similarity of our goal – to do great work, faster, and with fewer barriers – and a group of committed individuals made it so,” said Regina E. Dugan, senior vice president and director of ATAP. RAD introduced distributed Grandmaster functionality in its Service Assured Access solution for mobile backhaul networks. The company said distributed GM is an elegant solution for LTE compared to existing solutions that use GPS at each base station, or for architectures that deploy a Grandmaster clock with IEEE 1588 functionality at a central site to transmit timing across the entire backhaul network to all remote base stations. RAD’s ETX-2 Advanced Carrier Ethernet device supports 1588 Grandmaster and is also equipped with a built-in GPS receiver. 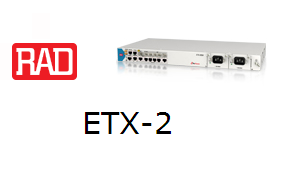 "Since the ETX-2 is designed to be deployed at the first aggregation point, closest to the cell-site or a cluster of small cells, it will not overcrowd base stations, and since it will typically be situated much closer to base stations than a Grandmaster clock would be, it can provide an accurate reference clock for the base stations with no network upgrade," said Ilan Tevet, Service Provider Line of Business head at RAD. Tektronix Communications has begun offering professional consulting services to help carriers optimize the rollout of LTE networks. Tektronix said LTE rollouts are complex due to the increase in traffic and signalling of data rich applications, and the challenges of circuit switch fall back (CSFB), success rate and setup time, and inter-radio access technology issues for data services. Furthermore, management of multiple network equipment vendors is another source of concern where potentially one manufacturer provides the eNodeBs, the MMEs and a third the core elements. Tektronix Communications’ new Technology Consulting service will provide NEM-agnostic, strategic end-to-end consulting to address such issues. "With the increasing competitive environment, there has never been a greater need for deep end-to-end insight and optimisation without losing control over OPEX and CAPEX. As LTE networks are being rapidly deployed, operators need to quickly identify and resolve customer experience issues to support adoption of LTE services, avoid churn and prevent negative brand impact," stated Ken Pecot, Tektronix Communications VP of Professional Services. VimpelCom has deployed NetCracker OSS for a single view of its fixed and mobile networks. The project was delivered as part of VimpleCom’s initiative, aimed at increasing operational efficiency through consolidation of IT systems and optimization of IT infrastructure. The companies said the deployment has enabled VimpelCom to achieve a dramatic decrease of the number of inventory systems. NetCracker’s OSS solution provides VimpelCom with an up-to-date, end-to-end view of over 500,000 interconnected equipment units located on the company’s 45,000 sites and 85,000 customer premises as well as a deep insight into the entire network topology. In addition, NetCracker OSS allows for deeper integration with the company’s other support systems. This enhanced functionality greatly increases the efficiency of VimpelCom’s fulfillment and assurance processes and reduces OpEx and operational complexity. With this implementation, NetCracker’s OSS solution is planned to be the core platform for inventory and fulfillment. NetCracker is a division of NEC. Marlin Equity Partners will combine Sycamore Networks Solutions with Coriant. 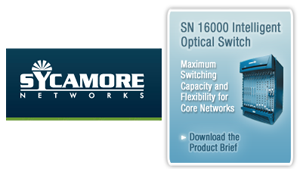 Sycamore supplies optical switching and multiservice access platforms. Marlin Equity acquired Sycamore from its public shareholders in January 2013. The business will become Coriant America Inc., and will remain headquartered in Chelmsford, Massachusetts. Sycamore will also adopt the Coriant brand for all of its product and service offerings. 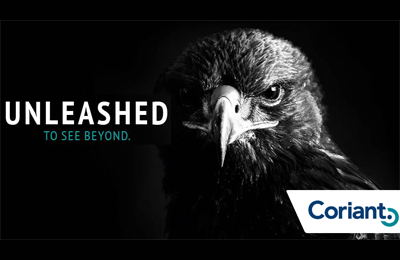 Coriant's full portfolio now includes 100G+ optical transport, OTN switching, and software-defined service control and management solutions for Tier 1 service providers worldwide. F5 Networks introduced a full-proxy network firewall for Service Providers that can be deployed as a hardware- or software-based solution. The S/Gi firewall, which is offered with F5’s BIG-IP Advanced Firewall Manager, serves an important function within a mobile service provider’s network infrastructure. Sitting at the Gi interface of a 3G network and the SGi interface of a 4G network, F5’s new offering is situated on the perimeter between a service provider’s mobile network and the Internet. F5 Networks said this placement is ideal to protect both subscribers and networks from targeted attacks—such as DDoS threats—from a variety of sources (Internet-to-mobile, Internet-to-infrastructure, mobile-to-mobile, etc.). The firewall is fully extensible and can respond to threats in real-time with F5’s programmable iRules technology. Key performance specs include: up to 8 million connections per second, up to 576 million concurrent connections, up to 640 Gbps firewall throughput. In addition, F5’s new BIG-IQ™ Security offering streamlines firewall policy management for multiple devices for enterprise and service provider deployments. "As service and cloud providers update their infrastructures to better serve customers, advantages in flexibility and efficiency can have the unintended consequence of opening up new security vectors to emerging threats,” said Mark Vondemkamp, VP of Security Product Management and Marketing at F5. support. 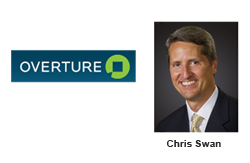 Previously, Swan held senior executive positions at Spirent, Syndesis, and Narus.